Despite advances in technology, climate extremes can still impact human societies today. 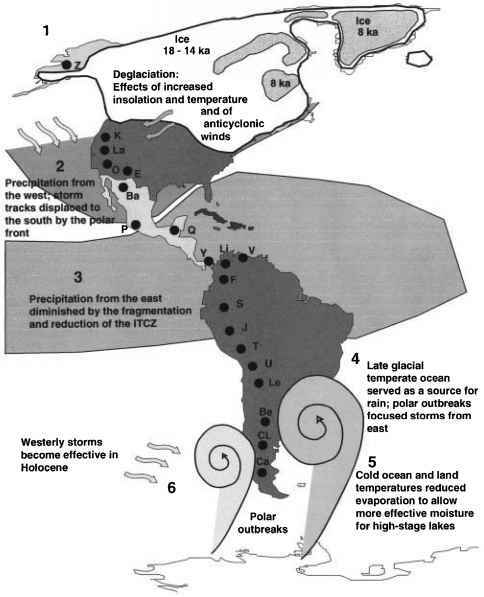 This is well illustrated by statistics on the impact of frosts related to polar air outbreaks on crops in Florida and Brazil (Marengo and Rogers, 2000). Climate extremes also affected pre-Columbian societies. Examples from the Maya in Central America and the Tiwanaku in the Andes illustrate that population declined following extended droughts (Brenner et al. 2000). Also, pastoral societies were affected by climate change, especially those populations living in semiarid regions, where food resources were restricted to areas around permanent water bodies (Nunez et al., 2000). According to these authors, after climate changes led to reductions in water supplies, which occurred at different times in the Americas, human populations disappeared from the affected regions. Either these groups relocated elsewhere, or the centers of cultural activity shifted to more suitable regions. An example is the shift of cultures from the Andean highlands in Peru and Ecuador to the coast, which occurred several times during the last 1500 years, apparently synchronously with regional hydro-logic changes (Thompson et al., 1992). However, during times of extreme and perhaps especially rapid climate shifts, such as occurred at the end of the Pleistocene when most members of the megafauna became extinct in the Americas, disappearance of entire cultures was the consequence (Nunez et al., 2000). Volcanic eruptions also affected human societies in Central America and the southern Andes. Sheets (2000) has advanced an intriguing hypothesis: that more complex societies have greater difficulties coping with massive disruptions caused by volcanic eruptions than simple, egalitarian societies. This hypothesis implies that the vulnerability of human societies to climate change and climate extremes cannot be reduced by technological advances alone. On the contrary, technology, which produces a shift from a nature-dominated to a human-dominated environment, actually renders the societies more vulnerable to natural disasters (Messerli et al., 2000). Clearly there are lessons to be learned from the past, despite the fact that the interactions between environmental change and human societies are highly complex and regionally differentiated. In addition to immediate local effects, volcanic eruptions also have regional and even hemispheric effects, primarily on temperature. Several empirical and modeling studies have documented a correlation between volcanic eruptions and decreased temperatures on a regional and even hemispheric scale (Bradley and Jones, 1992; Mann et al., 1998; Bryson and Goodman, 1980). Interhemispheric comparison of tree-ring records from North and South America, however, suggests that for eruptions of the last 400 years, volcanic eruptions did not produce global climate effects (Boninsegna and Hughes, 2000). 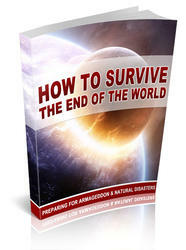 The reason for this may relate to the fact that the last 400 years was not a period of high volcanic activity. During periods of increased frequency and magnitude of volcanic eruptions, such as during the final stages of deglaciation at the end of the Pleistocene, global climate effects of volcanism are well documented (Zielinski et al., 1997).